Warner Bros. president Jeff Robinov has been quite vocal lately in regards to several of the studio’s hottest properties and in a recent interview with EW, he made several statements about Justice League, Man of Steel and The Dark Knight Trilogy. Admittedly, he was pretty tight-lipped and didn’t say a whole lot but there are a few things worth pointing out. So, let’s begin shall we? For one, Robinov squashed the rumors that pointed towards Nolan and Bale being linked to Justice League. He said that neither individual would be involved and while doing so, crushed fanboy dreams everywhere. Now, take that as you will but it could mean that Warner Bros. is hoping to revisit Nolan’s Batman at some point in the future. Whether this means a spin-off, a continuation or something entirely else is, of course, unknown at this point. Then again, this could just be a big misunderstanding and mean nothing at all. Still though, it does have some pretty exciting thoughts running through our heads. Robinov’s next comment was even more tantalizing, telling EW that “we’ll announce something in the next several weeks that will hopefully position the DC characters and the movies we’re going to be making.” That announcement will like pertain to Justice League but again, who knows what the studio has up their sleeve? Finally, he got around to talking about Man of Steel, which, according to him, will be “setting the tone for what the movies are going to be like going forward.” That’s something that we already knew, as the studio is waiting to see how Zack Snyder’s film does at the box office before pushing forward with any other plans. It seems like the Justice League film is still a mess and which direction they’re going to take it won’t be determined until Man of Steel opens. 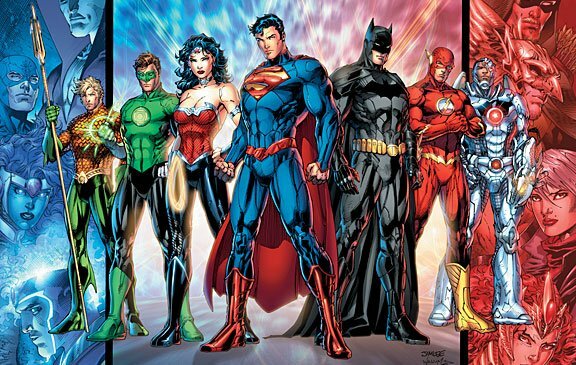 Whatever does end up happening, it seems like Warner Bros. has some ambitious plans for their superhero properties and if they can successfully get Justice League off the ground and somehow pull it off, comic book fans could be in for a very, very exciting next couple of years.